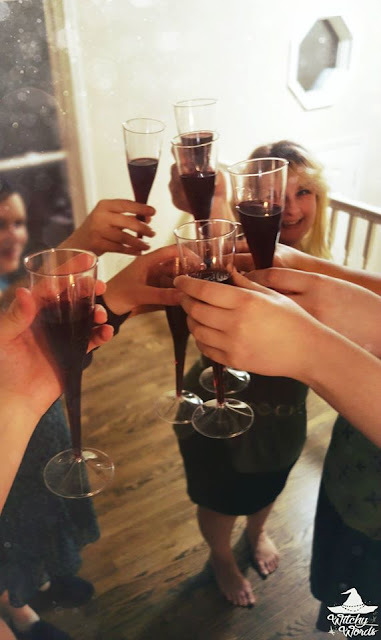 We bought a house! As perpetual renters with a massive accrual of student debt on my husband's part, we were sure that it would be at least five years before we could tackle doing this. Some days, it seems so surreal. The other night, I was up getting water (from our brand new 2016 double-wide chrome refrigerator - seriously squealing) when my husband walked in, hugged me and said "Our house. We own this house." This being almost six months after purchasing it. I don't think it's going to feel real until we don't have to move or sign a new lease this upcoming August. We've already taken care of some projects around the house. Moving so much has caused us to significantly cut our storage. The tan walls had to go if we ever wanted to feel like we owned this house, so we brought in some painters. The commons area of the house is slowly becoming complete. However, there's a few goals from last year I couldn't get to because of the flood and subsequent move. 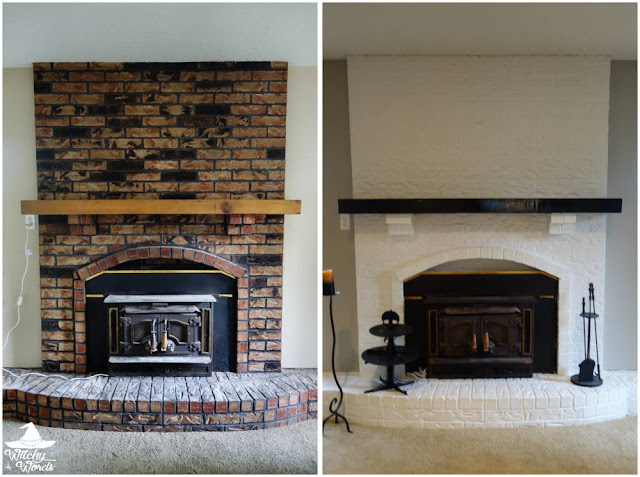 There's also a few new home projects that have developed simply from buying a house. There are two goals I'd like to tackle from the "home" section. It contains a ton of stuff, from an inventory of our household to a schedule of projects and more. 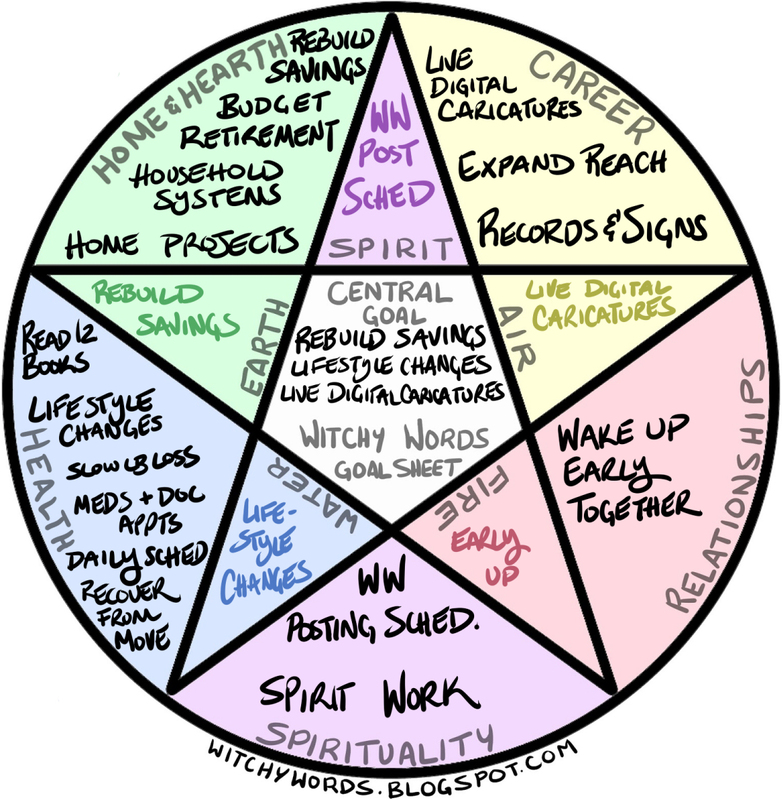 And yes, it does include our house cleansing ritual. While those were two of the smaller binders, I still managed to get something done for this goal last year despite everything. I'm pretty proud! Much of this corresponds with other things I have to do this year. 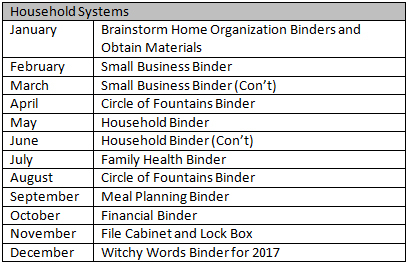 I'll be working on my small business binder while I do taxes for 2016. My family health binder will come up when I need to see the doctor and get my yearly/blood work done. 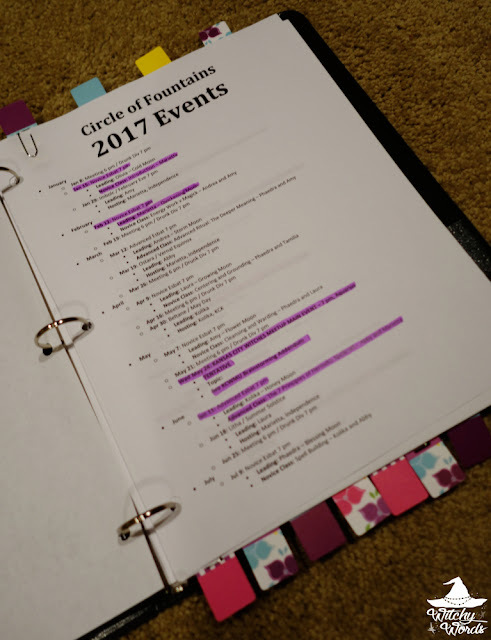 The financial binder will occur during some of my busiest months while we're preparing to splurge on the house and the maintenance binder will be completed during the months where we'll actually be doing some maintenance to the house. Even the meal planning binder corresponds with other goals. 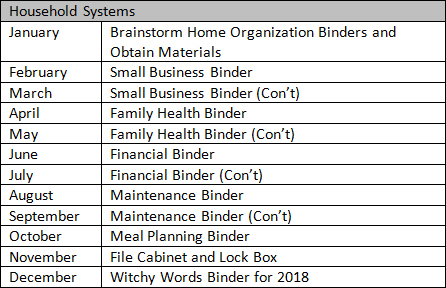 And, because I have a lot of work to do on Witchy Words, I'm not even going to push for a binder for this blog until the end of the year in preparation for 2018. I think that makes the most sense. 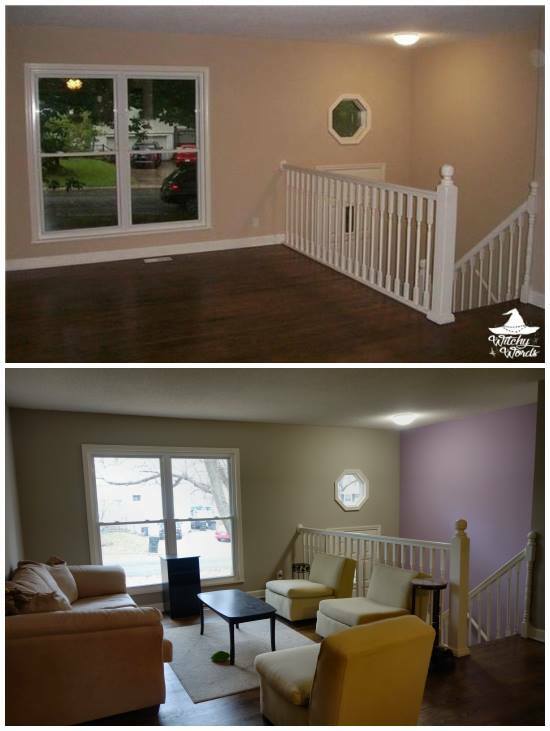 Despite it not quite being the house I wanted, I'm pretty happy with our purchase. Instead of making an aesthetic decision, we made a practical one: A newly renovated house with all new appliances and subsequent warranties. The inside of the house needs no work. None at all. There's not even a foundation issue, which is super common in Missouri. I'm very happy! However, the outside of the house does need some work. In the long run, we need a new roof, a new driveway and the deck will need to be redone. The backyard is a bit of a lumpy mess because they used to have a pool, so it's a combination of clay and sand. Not much grass grows. The house doesn't have a whole lot of curb appeal. The siding and foundation are good, and it has a fresh coat of paint, but that's about it. In addition, moving reminded us of how much we technically need to make a functional house. I made many furniture purchases last year but I still need to do some more work this year if I want my commons area to be functional. Unfortunately, the library is still just a room packed full of boxes behind a closed door. We have a three bedroom house but it only feels like a two bedroom, especially since I consider the library to be more part of the "commons area" than as a separate room. My first goal is to get the library functional. Then, my poor office needs to be tackled. It's an utter mess. By April, we'll get to a point, both financially and in weather, where we can work on the front yard and get it tidied up. In May, it's time to paint furniture and, in June, I can clean up the back bathroom from the catastrophe it has become. As heartbreaking as it is, July and August will be spent redoing our bedroom since what we had at Terra Luna won't work for how our bedroom is set up here. At that point, we should have enough money saved up to schedule roofers and get our roof done. The roof isn't in dire need, but we were told we'd need to replace it in less than 5 years. I'd like to get it out of the way. 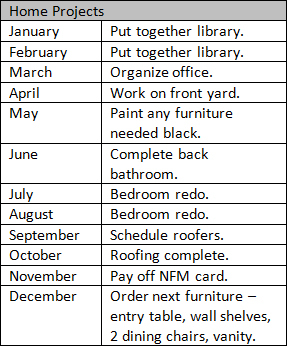 I'll spend November paying off the furniture I ordered this year and then dive in to the last bit of furniture we need for the commons area. Not too bad! What are your home goals for 2017? Being a Virgo also, I always have lists for home projects, heh! For our home, a condensed version would be getting our sliding barn door installed for our basement/family room, carpets and couches professionally cleaned, laundry room adjustment ( custom cat box entry built out into garage from laundry and recogfiguration of washer/dryer)and my garden actually planted on time for this year's season. It may sound like a lot, but they are all tied together. I've been saving up and it appears that within a few months we can really get some of these pulled together. But the waiting process is trying. So in the meanwhile, I am organizing and purging. It helps me to see progress in one area if another has to be put on hold. Cheers to your new home and goals! Wow, good luck with all of that, Vanessa! It sounds like it will come together splendidly when it's all complete!